Below you can view all the homes for sale in the West Lake subdivision located in Apex North Carolina. Listings in West Lake are updated daily from data we receive from the Raleigh multiple listing service. To learn more about any of these homes or to receive custom notifications when a new property is listed for sale in West Lake, give us a call at 919-759-5775. Close to parks, trails, & excellent schools. Come see it today! MLS#2245684. 297. HOA covers all exterior maintenance! One Year HSA Warranty included. MLS#2238525. 4573. This luxury West Lake townhouse has the following remarkable features: Gleaming hardwood floors * High, smooth ceilings * Lots of natural light * Open floor plan * Large kitchen with island * Stainless steel appliances * Solid-surface counters * Exceptionally-large, main-level master bedroom * Garden tub and separate shower * Walk-in closet * Main-level laundry room * Gas fireplace * 2 spare bedrooms upstairs * 2.5 bathrooms * Finished sunroom * Private rear patio * 2-car garage * Community swimming pool. MLS#2233094. 238. 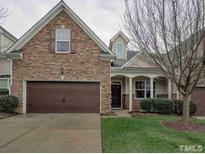 WALK to schools, 1.5 miles to HT grocery and new Fresh Market MLS#2226495. 5026. Upgraded features include newly installed carpet. MLS#2225031. 4823.